Much like the 1970s Ringo Starr and George Harrison duet pop song “It Don’t Come Easy,” if you’re a full-time Vermonter you will have to pay your dues if you want to sing the tax blues in the Green Mountain State. Just in time for the April 15 tax-filing deadline, a new online report shows that Vermonters have a lot of reasons to sing the blues: They have one of the nation’s highest state tax loads to bear. A new report by WalletHub shows that Vermont has the fourth highest overall tax burden and second highest property tax burden among the 50 states. 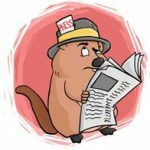 The popular personal finance website released its 2019 Tax Burden by State report this month, and it doesn’t show Vermont in a very good light. Only New York, Hawaii and Maine are worse tax-burden offenders when compared to Vermont. According to Jill Gonzalez, a WalletHub analyst who helped prepare the new report, Vermont has the fourth highest overall tax burden, at 10.77 percent. Property taxes make up almost half of this percentage. Vermont’s property tax burden is listed as 5.12 percent in the report. Sales taxes take up close to a third of the tax burden, while income taxes represent 2.31 percent of each resident’s personal income. 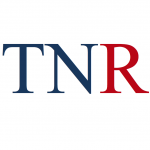 To find out which states tax residents most aggressively, Gonzalez told True North that WalletHub compared the 50 states based on property taxes, individual income taxes and sales and excise taxes — as a share of total personal income. Gonzalez said a simple ratio known as the “tax burden” is easier for the public to understand compared to tax rates. Data used to create the WalletHub ranking were collected from the Urban-Brookings Tax Policy Center of Washington D.C..
“Tax rates vary widely based on an individual’s circumstances, the tax burden measures the proportion of total personal income that residents pay toward state and local taxes. And it isn’t uniform across the U.S., either,” Gonzalez noted. According to the online report, with rankings showing 1 as the highest and 25 as the 50-state average, Vermont scored fourth in overall tax burden, second in property tax burden, and twenty-sixth in the individual income and sales and excise tax burdens. 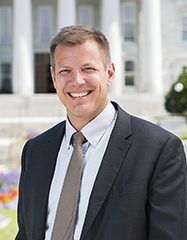 According to Andrew Felo, associate professor of accounting at Nova Southeastern University’s Huizenga College of Business and Entrepreneurship in Davie, Florida, and an expert contributor to WalletHub, how a state measures up in the “tax burden” category is an indicator of a state’s economic and labor vitality. While not discussed in the report, states with the highest tax burdens are by-and-large controlled by Democratic state majorities in their respective state houses. Vermont Commissioner of Taxes Kaj Samsom said the report has a ring of truth to it. Samsom said the Scott administration is working hard with the Democratic-controlled legislature to reverse the state’s dismal ranking. 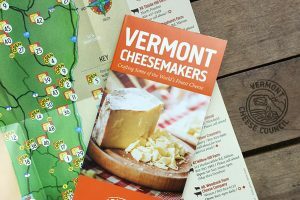 “This year the governor introduced the repeal of the Vermont land gains tax and an increase in the estate tax exemption. Both proposals are aimed at lowering the overall tax burden and removing taxes that seem counterproductive to affordability and economic growth,” Samsom said. While he agreed with the WalletHub report’s overall data, Samsom had one concern. Felo stressed that states with a broad-based tax system are better at weathering economic storms compared to those, like Vermont, with a narrow-based system. “A broad-based system is one where the total tax liability is spread over a larger number of taxpayers while a narrow-based system is one where the total tax liability is spread over fewer taxpayers,” he stated on WalletHub’s website. “New York Gov. Andrew Cuomo recently illustrated this issue when he complained about high-earning residents leaving New York because of higher taxes. Since New York relies on relatively few tax payers for a majority of its tax revenue (a narrow base), this results in a significant drop in revenue. The VT taxers have to view outside reports to learn how bad the tax burden is in VT, a total disconnect. Note: “While not discussed in the report, states with the highest tax burdens are by-and-large controlled by Democratic state majorities in their respective state houses. 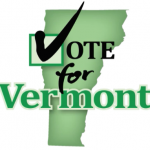 Vermont Commissioner of Taxes Kaj Samsom said the report has a ring of truth to it:. There’s no fences holding people in VT. One trouble is, in order to move out if you have property you’ll take a financial hit to get rid of it. The final amount will be a fraction of what the delusional Listers (tax Dept schooled) say it’s worth due to the tax system of greed. Don’t see many people moving in, so the selling will be difficult, not a sellers market. Quarters on a dollar. Born and raised in VT and served my country, but am being forced out and will within a year or two, have to organize things. AL is beckoning where I spend winters. But here, there’s a family moving in every 9 mins in Baldwin county. It’s a buyers market. AL is a great state. While they have income tax, if below financial limits, no tax just as in VT. But no tax on SS. FL is having a big influx, no income tax. Furthermore, it’s cheaper to live here. Property taxes are quite low. I have laid my plans. And so damn sick of Flatlander Liberals. Going to where people let people live, fish and be stress free. One day a buncha years past, outside Tedder’s Hardware store in S.C. I noticed the store owner’s son standing at the back of his PU showing off a bass he’d caught — about 2-2 1/2 lb — and asked him what he intended to catch with that bait. After regaining control of his blood pressure and temper we got to talking about where he caught it. They fish bass a little different than I do: float/drift downstream in what look like wide-ish flatbottom half-canoes of about 7-8ft under overgrowth sometimes down to the gunnels. Knowing via word of mouth (my son who’s lived in NC & FL over 30 yr) how aggressive the gentle cottonmouth is, I realize I’ll never ever fish bass in SC. Don’t need that kind of stress. Nope, I’d maybe stick to saltwater where ya might have a shot at seeing the estuarine crocs in time to get the ‘ell outta their way before the .44 mag solution becomes necessary, also a solution for that silly ol’ Burmese python that’s working its way up from Florida. My boykid has some good tales about those critters. The folks in Montpelier are jumping for joy. Vermont almost won the high tax lottery. Will it ever end. NEVER!!!!!!!!!!!!! These guys don’t have a clue. Its actually worse then the tax picture shows. For a true analysis of what the liberals are doing to us, you need to add up all the taxes and fees, from dump costs, to electricity, to car registration, etc., and the cost of living that is at least 10% above the national average. I did an analysis of my retirement income which is fixed, by taking the total, subtracting 10% for the excess cost of living, and all the taxes and fees I’m forced to pay — to arrive at my actual spendable income. Then I did the same analysis for two southern states only I added in 10% because their cost of living is 10% below the national average. The difference for me is $1000 a month. I grew up here, but I’m gone as soon as the house can be sold and I won’t look back. the imaginary rising oceans….Don’t bode well for stifling the carbon tax. The major reason my family and I left VT was because of the out of control ever increasing taxes, specifically the property taxes. When we left we were an unsubsidized house hold in regards to property taxes. That means we made north of $140k/year. I realized the property tax situation would never be resolved and would only get worse. (VTNEA is running the show like it or not) VT has the single largest property tax adjustment in the country. Last I checked it was to the tune of $200,000,000 per year. That kinds of money forms a disconnect with voters at the booth. Quite simply, at the booth they know it will impact them little, especially after the fancy charts come out showing that with the subsidized property taxes your taxes will go up pretty much nill if the budget passes.”Check” pass the budget. Well, mine would go up significantly every year. Sick of it, we packed our bags and moved to state that instead of looking at up like a piggy bank, would look at us like asset that is worth keeping around. I no longer have to worry about looking like a piggy bank to the folks under the golden bubble who seem to think that their actions have no repercussions. Vermont’s tax policy drove me out but many other filers with very good income. The reckoning is coming. you can ether go down with the ship or jump. The choice is yours.